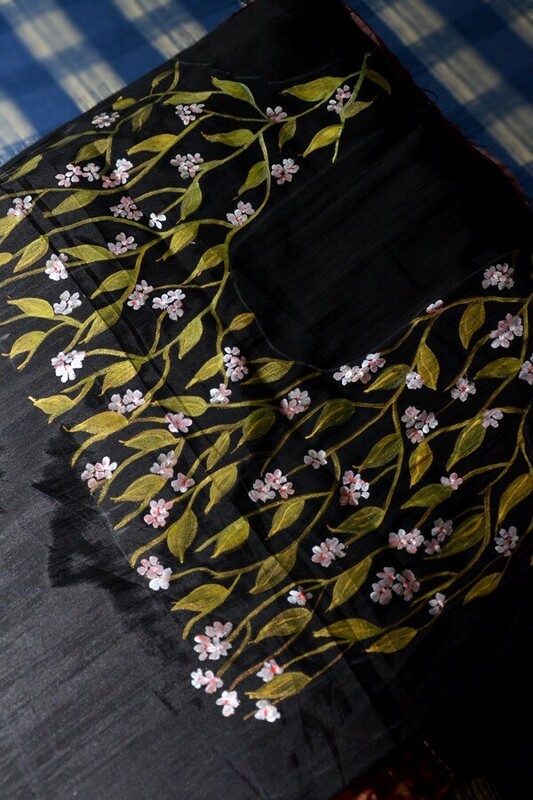 The beautiful Hand-Painted Floral Black Net Saree from Colorauction is a must have in your wardrobe. 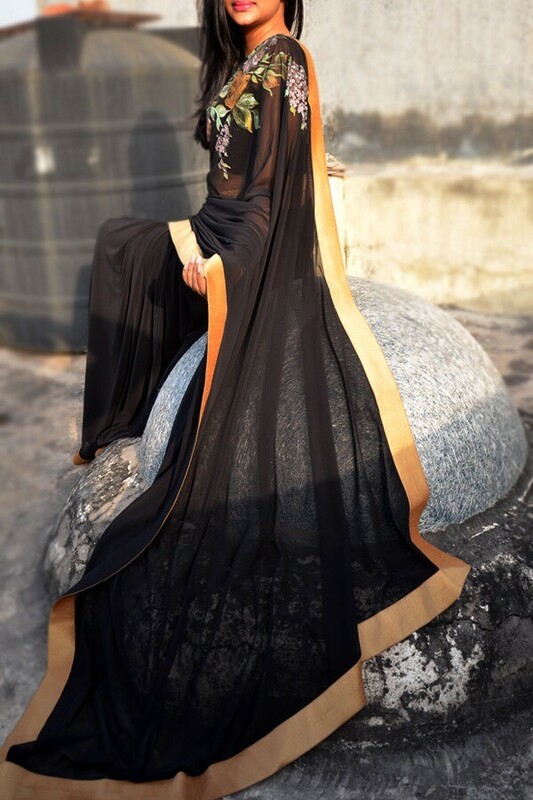 This saree will surely win your heart at the very first glance as if has beautiful golden taping at the edges and comes with a beautifully handpainted viscose blouse piece. 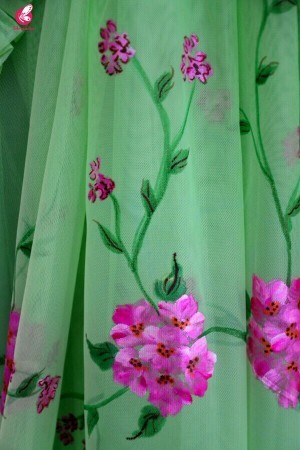 The saree will look pretty with high heels and hoops.